For business owners, having a website can mean one of two things. With minimal effort, it can be a place for existing customers to visit and search for information. Done correctly, though, your website can be a valuable tool that enables you to consistently gain new customers. If you own a store, restaurant, or other business that relies on local, in-person traffic, then engaging in local SEO is essential. Read on to learn why, and about the essentials of local SEO. 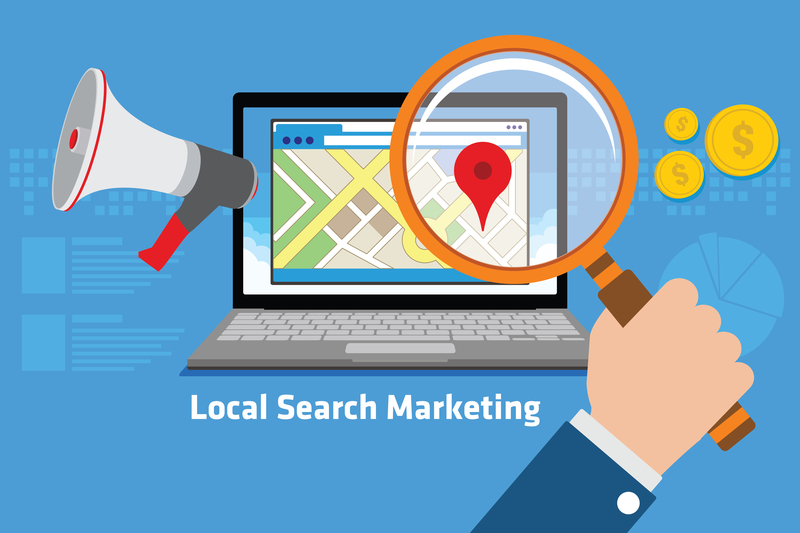 In essence, local SEO is the practice of optimizing your website to rank for local queries. Google’s algorithm is brilliantly designed by some of the most talented engineers in the industry. Consequently, it can intuit when searchers care about the location of the results, and when they don’t. For example, somebody looking for a local coffee shop obviously cares more about the location than somebody searching for information about birds’ eating habits. These days, most mobile (and desktop) devices utilize location-tracking technologies. These features enable search engines to consider the location when delivering search engine results on a SERP. 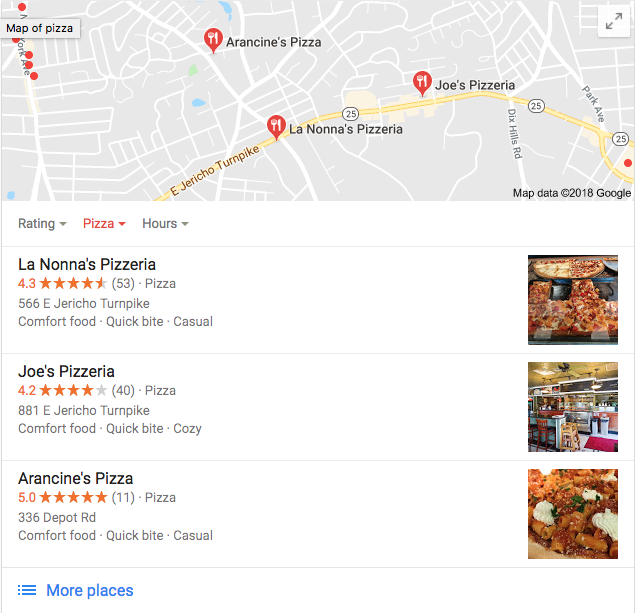 So, for searches in which the user is obviously looking for a storefront, park, or other real-life destination, Google will present local results. For example, searchers in Wantagh may find results in surrounding areas like Merrick, Seaford, and Bellmore. For this reason, local SEO is important. If the purpose of your website is to drive customers into your store, you need to take the appropriate steps. We all have our favorite pizza spot in or around our town on Long Island. Their pizza has the best crust, the perfect ingredients, or they’ve mastered the sauce-to-cheese ratio. Either way, even loyal pizza patrons will be craving a slice while away from home, and search Google for pizza. That’s when Google My Business comes into play. Somewhat of a business directory, Google My Business offers a way for business owners to easily broadcast their businesses to interested prospective customers. Registering your business through Google My Business presents the opportunity to rank in the local pack. Being featured in this local pack is imperative for brick-and-mortar businesses, as it will immediately grab the attention of searchers. At Long Island SEO, we can help you to be featured in these results, and gain new customers. There’s nothing that will inspire more interest in customers than positive reviews– and Google recognizes that. That’s why Google attributes great importance to reviews– especially those with high ratings. As a business owner, you should encourage customers to leave reviews for your business on various platforms. For search results, though, the most important platform is (drumroll…) Google. So, your customer service skills play an unequivocally important role in your online presence, as they should. Overall, providing stellar customer service is the best way to ensure positive reviews. Unfortunately, local competitors do occasionally engage in the shady practice of leaving false reviews, to bring your ranking down. It’s important to keep an eye out for these, and report them to Google as they come in. As an SEO company specializing in online presence, we can help your business to manage these reviews. Social media accounts that are associated with your brand will not act as direct ranking signals. For a comprehensive digital marketing strategy, though, a great social media presence is a must. So, many brands that have a stellar social media presence also have high-ranking websites. This principle follows the idea of correlation, rather than causation. There are ways that social media can impact your website’s presence, though. Social media platforms are an excellent way to distribute content. So, if your content resonates with your audience, then others are likely to link to it. Backlinks are one of the most important ranking factors, and convey the value of your social media posts to Google. This could be highly valuable for your local business, as social media profiles all have an associated location. It’s important to note that the social media posts themselves will rank, rather than the website itself. Additionally, social media can have other less quantitative benefits. If people recognize your brand as an authority, then they will be more likely to engage with you across the internet. A social media presence can help you to foster this sense of trust. Interestingly, YouTube may hold definite SEO value. A subsidiary of Google, YouTube also has a complex ranking and search algorithm. So, adhering to YouTube’s own best practices could hold long-term benefits for your brand. Experts in the ever-evolving SEO field believe that social media may play a more important role in the future. Who knows– anything is possible in the digital marketing world! Unsurprisingly, your website’s coding dictates how Google will perceive and categorize your website. Schema markup is a fairly recent development within the web design world, and goes a long way in attracting local customers. During routine website crawls, schema markup can aid Google’s bots in understanding keywords that are relevant to your website. Generally, these keywords relate to location: using towns, counties, regions, and especially– Long Island. While the technical details behind schema markup can get fairly complicated, the principle is simple. Your website’s code should convey your location, the surrounding areas, and the category of your business. Optimizing coding through writing schema markup is a standard initial phase of Long Island SEO during our process, along with blogging for SEO. Title tags are important for a few reasons. Logically speaking, the title tag is the name of the website. So, when browsing search results, the title tag will be the name of the webpage that searchers might navigate to. Thoughtfully writing title tags (with the location of your business in mind) is as important for search engines as it is for users. When writing title tags, you should make good use of local keywords. For example, the title tags on your Seaford physical therapy practice website should be simple and clear. Perhaps “Seaford Physical Therapy” would work just fine! Or, “Seaford Physical Therapy Practice” would work as well. Additionally, the location element of the keyword should be positioned toward the beginning of the keyword. With a comprehensive strategy, we can help your website to properly utilize locational keywords within title tags. Meta descriptions offer a way for businesses to explain to both customers and search engines to describe webpages. Meta descriptions are featured below the title of the website on the SERP. Influence both searchers and search engines, meta descriptions fundamental to SEO. Recently, Google expanded the maximum capacity of a meta description to 300 characters, allowing for more in-depth explanations. For local SEO, though, your meta description should feature location-centric keywords. A burger joint in Southold might incorporate the phrase “best burgers on the North Fork”. However, be sure to do so organically, and avoid unnaturally using these keywords. Alongside the previously mentioned Google My Business profile, Google Posts are also essential. These brief, temporary posts are a great way to advertise sales, specials, and upcoming events. Google posts appear in your business’s Google profile. While these posts may not necessarily be a ranking signal, they can play an important role in driving traffic.